An excellent sample. 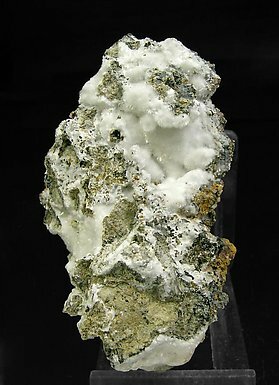 Vladimirite, a rare arsenate, forms globular growths of white fibrous and acicular crystals filling vugs on the matrix. These Vladimirites from Aït Ahmane are among the world’s best for the species.